When many people hear the words “shark” and “tourism” in the same sentence, the first thing they think of is how to avoid them. Unfortunately these people are missing the opportunity to witness and learn about one of nature’s truly astounding creatures. While shark attacks are real and many movies and media outlets capitalize on this fear (see the Discovery Channel), there are common sense ways to avoid danger and have a great experience while contributing to shark conservation efforts. According to the conservation group Oceana, an average of 4 people per year were killed by sharks, with only 3 fatal attacks in the US from 2006 – 2010 (out of 179 total). Beachgoers are more than 3 times more likely to drown than to die from a shark attack. 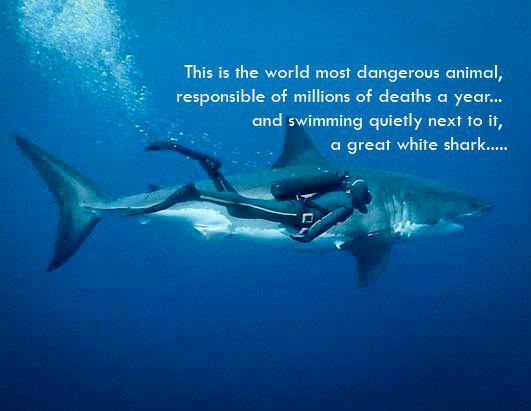 Compare that to the more than 25 million sharks killed by humans each year, and it becomes clear who is more dangerous. Sharks, as top predators, are critically important to the health of the ocean. One of the biggest issues why many shark species are endangered is due to the international trade in shark fins, used as a delicacy in shark fin soup, consumed primarily in Asia. According to Shark Advocates International, they are also valued for their meat, hides, teeth and livers. Due to the facts that sharks grow slowly, take a long time to reproduce and give birth to small numbers of offspring, these fish are especially susceptible to human threats. One strategy to help protect and research sharks that is gaining popularity is ecotourism. 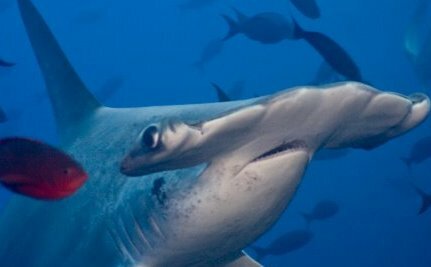 A recent study of sharks around Costa Rica’s Cocos Island estimated the value of a hammerhead shark to tourism at US $1.6 million each, compared to just under $200 it could bring if sold. A 2011 study by the Australian Institute of Marine Science had an even more dramatic difference, estimating a lifetime value of nearly US $2 million dollars for a reef shark in Palau vs. only $108 for sale in a fish market. Governments are starting to take notice of this economic value; countries including Australia, Palau and the Cook Islands have recently created large new marine protected areas to protect sharks and other ocean life. While diving to see sharks has its abstract value, many tour operators and volunteer organizations are taking advantage of shark tourism to directly benefit conservation. SEEtheWILD partner Sea Turtle Restoration Project has a unique trip for divers to the Cocos Island where people can help to tag hammerheads as part of a research program. 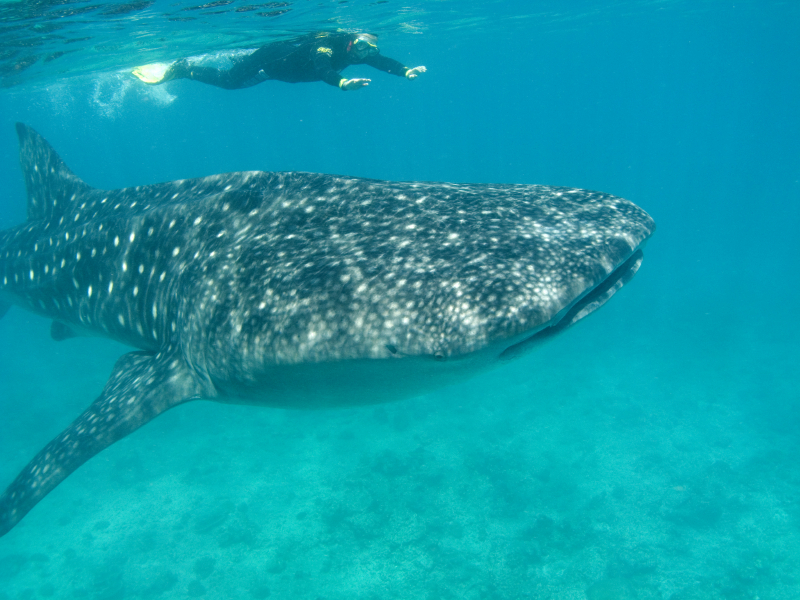 In Belize, Earthwatch Institute has a volunteer program in Belize to study shark populations and the value of marine protected areas. Can Tourism Benefit India’s Tigers? Is the News Media Driving Sharks to Extinction? I'm not for chuming. If you want to swim with sharks, do it in a natural way. Go diving. SE Asia is a great place to dive with sharks because sharks species here are generally not aggressive. Just give them some space. Of course there're certain rules to follow, such as not trapping the shark between you and the reef. Bad idea. While there are good intentions in dispelling hate and fear of sharks, setting up situations where people can swim with them means capturing a few (which can result in others being hurt or worse, killed) and keeping them captive. We do not have the right to disturb the natural order to satisfy our whimsy. Anyone who wants to get to know sharks better need only turn on their television and watch the many excellent documentaries that show them in the wild, doing what they should be doing: being alive. Imprisoning sharks (or dolphins, orcas, belugas, etc) is exploitative and devalues their existence further. This is a bad idea for the same reason carnival side shows no longer display bearded ladies or conjoined twins. It is a bad idea to chum waters to attract sharks for human viewing/entertainment. These sharks may learn to view human interaction with food, then get blamed for eating a few. Goodness, this isn't exactly new. A friend and I went on a 'shark' dive 13 years ago and the dive masters had been taking people out for years before that. Nevertheless, diving with them is thrilling. The real-life experience far surpasses any film or aquarium, as does any wild-animal sighting when you're in their habitat. I would love to swim with sharls! I would like to do a lot of things. however there is such a concept as 'right and wrong' and this is definitely wrong for oodles of reasons. For one, animals aren't on this earth to be humans' playthings. Two, they are in and of the ocean, and though we are doing our human job of polluting it, the animals contained in it are so far 'untouched by human hands' and they need to stay that way; we are the dirtiest species there is and sharks don't need our cooties! Three, this is setting the sharks up for failure; the minute that someone is tasted by the shark, the shark is going to be killed. Four, has anyone asked the sharks if they are cool with this? For the love of Pete! LEAVE THEM ALONE!!! leave them alone...stop using them for entertainment, tourism, etc.